Be willing to take your case to trial to show the insurance company you are serious about your claim. 2. What Happens if I Ignore an Insurance Subrogation Letter for Homeowner Property Damage? Some insurance companies choose to save money by making lowball settlement offers to claimants, including their own policyholders. When you receive a lowball settlement offer, you really only have two options. You can accept the offer or you can resolve to fight the company for the full value of your claim. To fight the insurance company, you will need to hire an attorney, be willing to take the case to trial and make the insurance company work every step of the way. Insurance companies make lowball settlement offers because many claimants are not represented by counsel. Without an attorney, you will probably not convince the insurance company that you are serious about your claim. 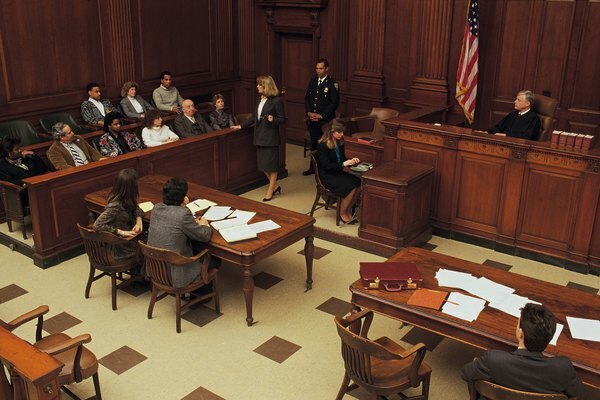 Until you have an attorney, the insurance company knows that you cannot file suit, much less take your claim to trial. Civil litigation can be highly complex, and even sophisticated and intelligent claimants struggle to understand rules of procedure and evidence as well as the substantive law found in statutes and case law. According to Davis Law Group in Seattle, studies show that settlements are 3 1/2 times higher for claimants who hire attorneys as opposed to those who do not. Unless you are willing to take your case to trial, you will ultimately have to take whatever settlement offer the insurance company is willing to make. A jury can even the odds. However, insurance companies know that most cases do not go to trial, so merely filing a lawsuit does not necessarily show how far you are willing to go. Make sure you have an experienced trial lawyer who specializes in civil litigation and make the decision at the beginning of the case that you will insist on a trial unless you get a fair offer. Be a good client. Return your attorney's phone calls and emails. Be truthful and be sure not to exaggerate your claims. Insurance companies will work to find weaknesses in your case. Make sure the information you give your attorney is accurate. Provide records such as pay stubs, tax returns, medical forms, and other evidence your attorney will need. Show up for all depositions and client meetings. Doing these things will help move your case forward and will signal to the insurance company that you are serious about your claim. Insurance companies may delay responding to settlement demands or other communications from your attorney. The insurance company may even ignore your attorney's phone calls or claim that the file has been transferred to another adjuster or department. Encourage your attorney to work your case aggressively to counter these delay tactics. Make sure they answer discovery requests in a timely manner and schedule depositions to move the case forward. The insurance company pays the defense lawyers by the hour, so the more you make the defense lawyers work, the more expensive the case becomes for the insurance company. This aggressive tactic can encourage the insurer to make a better offer. Can You Sue Your Homeowners Insurance Company if It Doesn't Repair Your Home Properly?